So, there are times that I hesitate to post something because all I can think is: EVERYBODY already knows this, Abbie. It’s just too, too obvious. And for many of you, today’s #mamalifehacks tip will be. My apologies ahead of time. Feel free to click away to the weather or something equally scintillating. But I’ve had enough of a, “Why didn’t I think of that! ?” reaction in both real life and blog life to this idea any time it comes up that I figured it was worth posting at least once, especially considering the fact that there are a good number of you participating in our healthy eating/drinking challenge. So, WHAT IS IT, Abbie? Enough blathering, for the love! My big fat (skinny?) 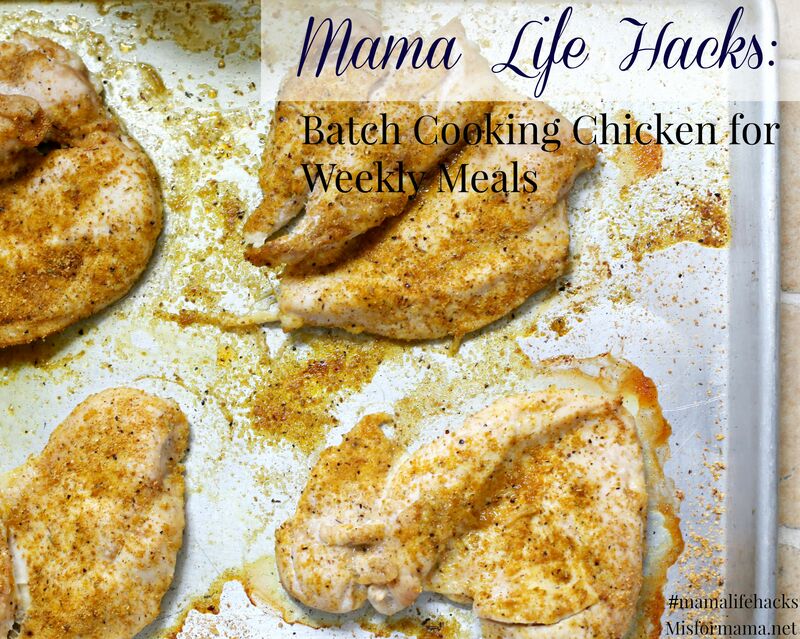 tip for today is to cook chicken breast in big batches at the beginning of the week so that, on those days when you’re stumped/too tired to think about dinner, you don’t really have to. 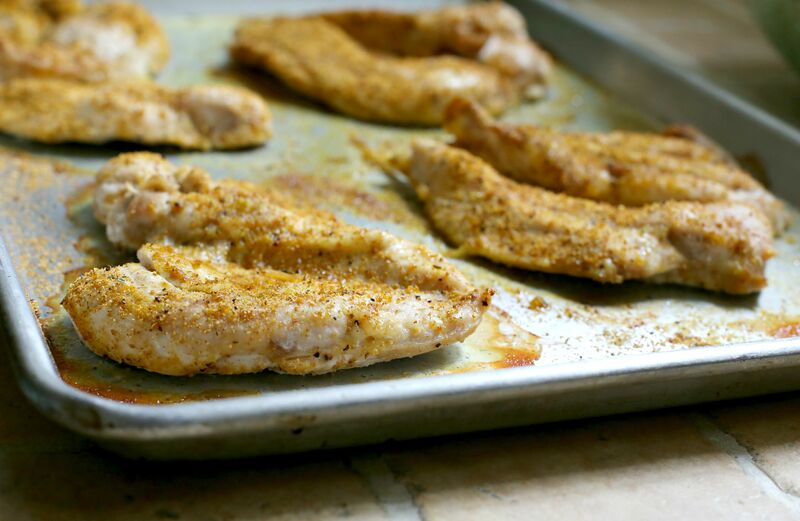 Because SURELY there’s something you can make with pre-seasoned, pre-cooked chicken breasts! Get the idea? If it has the word “chicken” in it, then you can probably use chicken breast from your pre-cooked batch to make it. Of course, this hack isn’t just for those weeks when you haven’t planned ahead. There have been puh-lenty of times that I have planned 3-4 of our family dinners around the fact that I am cooking a huge batch of chicken at the beginning of the week. As we’re doing our 14 day cleanse, (Y’ALL! I’m so proud of all of you for jumping in like you did! This is so fun! The Facebook Page is hoppin’! If you’re still interested, don’t hesitate to join in!) it’s really important that I have healthy options on hand so that I don’t get discouraged or distracted or just plain devour-some (sorry, not a word; I didn’t want to ruin the alliteration). But, whether you’re adhering to a special diet or not, I think all of us busy women could use a little help in the meal-planning department. And I’m here to tell you that, if you’ve got 30 minutes on your Monday (only 5-10 of those have anything to do with prep; the rest is oven time), then you can get yourself set for the week with delicious, pre-cooked chicken that is SO much cheaper and better than that grisly, rubbery stuff they sell in bags in the freezer section. Hope you have a pen and notepad ready because it’s super complicated. No, it’s not. And that’s the beauty! Butterfly your chicken breasts. Note: this step is totally optional, but I always do it because it means that my meat cooks more quickly and that there’s more seasoning on each piece. 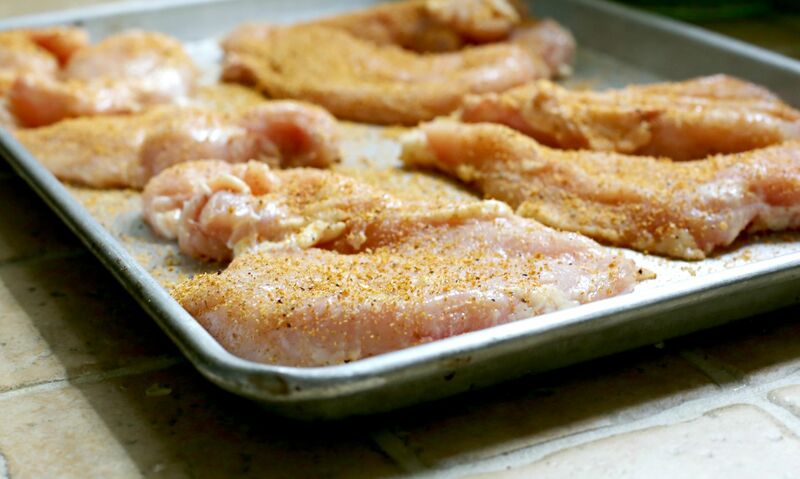 Arrange butterflied chicken breasts on a jelly roll pan (cookie sheet with a lip) and sprinkle generously with Lawry’s Perfect Blend Chicken Rub (I buy mine in the huge containers from Sam’s, but that link is for Amazon). Cook for approximately 23-26 minutes or until juices run clear and no pink remains in the meat. This is the part where I’m supposed to tell you to use a meat thermometer, and YES! You totally should. TOTALLY. But…I don’t. So, there’s that. Allow chicken to cool on pans, then place in gallon plastic bags and store in the fridge. Mandy did a really similar post to this one ages ago, and she freezes hers and says it still turns out great when thawed. Pull out of fridge and dance with it around the kitchen when you realize that you forgot to plan dinner but you have cheese in the fridge and tortillas in the pantry, so…QUESADILLAS FOR EVERYONE! Shoo husband away when he sticks head quizzically in the door to ask why you’re so excited about quesadillas. High-five yourself on your super-mom levels of preparedness. Okay. I’m good with that. And for all my clean-eating homeys…don’t get any ideas about cheese and tortillas. BUT! This hack will still serve you well on your clean-eating quest. No go eat some lettuce! Got any #mamalifehacks to share with me? I’m listening! Great advice! It’s easy but definitely a game changer in how smooth cooking for the week goes. I enjoyed your writing too. Blessings! After so many rave reviews, I was pretty confident that this would be a fantastic recipe…sorry to say I was a tad bit underwhelmed. The chicken (after cooking for 25 minutes) had a nice flavor but was pretty rubbery–blech. The sauce was too thin, although flavorful. Served it over steamed brown rice. I think it has potential, but not sure I’ll make it again. I use mine up to a week. I’ve never had a problem, but I guess there’s no guarantee! Totally a great tip. We used to be lazy and just cook up a huge batch of chicken and then eat it with a salad every day. Hubby still does that and brings it to work with him for tacos. Easier to do batch cooking on the weekend than to have to cook dinner after getting home from work. I’m one of those that didn’t know anything about this but it makes total sense! I’m always wishing I had grilled chicken on hand for putting on salads and such for a quick lunch but I almost never have any on hand. I’m going to do this today! Yeah! I LOVE it when I …get around to precooking a bunch of chicken. WHY don’t I do it oftener!?! I used to always use a Tex-Mex recipe from Taste Of Home… loved that stuff! No, it’s not just you, I would totally get excited and congratulate myself about being so prepared ahead of time. And even though it might be a tip most have heard before, it’s a good reminder. We all need reminders!! I actually boil mine, that way there isn’t any hard spots and I can use for chicken salad or other things. On the weekends, while I’m sitting having my coffee in the morning, I’ll fry up three lbs. of hamburger and a three lb pack of chicken breasts. Working full-time, I need to get dinner done asap on the weekdays. I used to boil mine, and, while I agree that the texture is more even, I ended up not loving the consistentency for things like pasta or stir-fry dishes. But if it works for you, more power to you! Love this! I actually think I should probably start doing this one more often, it would really make my meal prep easier! Cooking chicken in the crock pot is the best way!!! You can even put the chicken in there frozen and pilled up and it comes out perfectly cooked every time. That’s a great idea. I don’t use my crockpot very much, but when I do, I’m always happy with how easy it is. What do you put on your chicken? I like to pour hot sauce in with the chicken in the crockpot to use for chicken tacos. The hot sauce gives it just enough flavor!